This is an adorable bucket from Simply Organized. In the post she even lists what she put inside and how she made it. 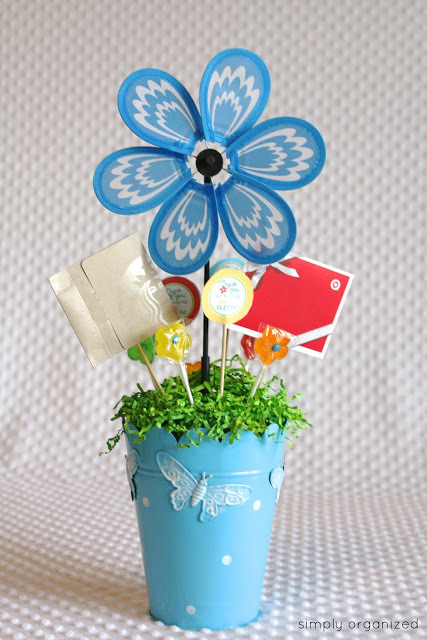 My favorite part is that flower pinwheel that apparently only cost a $1.50. 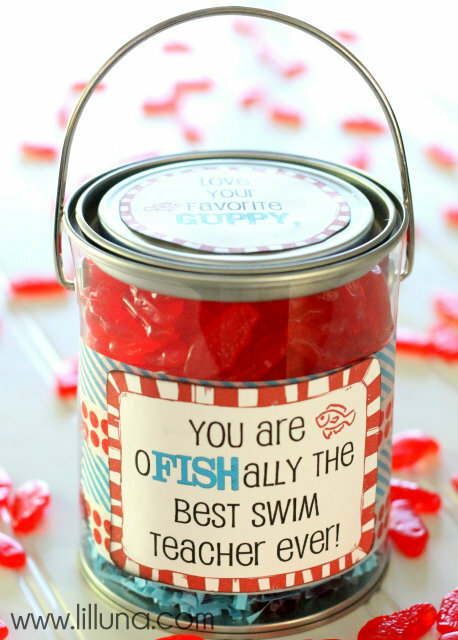 I know this one says "swim teacher" but I like the idea for a regular teacher, and the container and colors are super adorable. You can get the full tutorial at Lil' Luna. 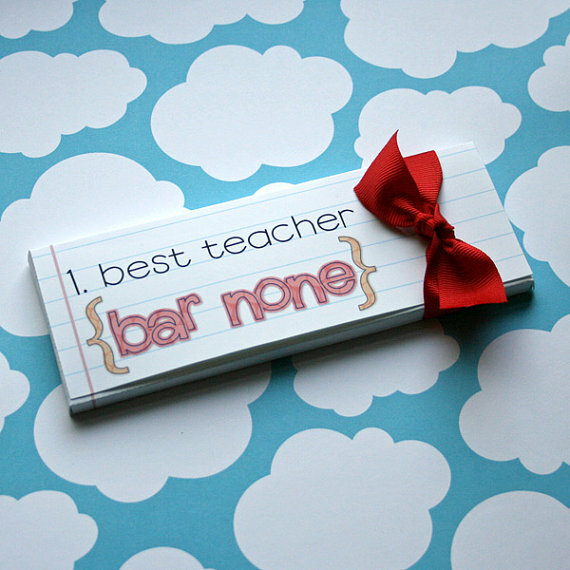 This is a cute candybar wrapper that sells on etsy. I really like the look and idea of it - the lined paper is a good touch. These cards are great, and funny, and are kind of the way I'm leaning. Then all I have to do is print something instead of taking time to put something together. 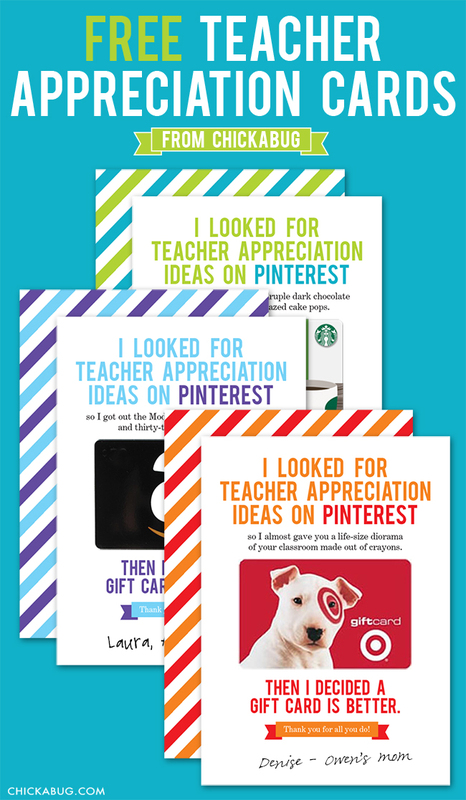 Plus, who doesn't love a good giftcard? 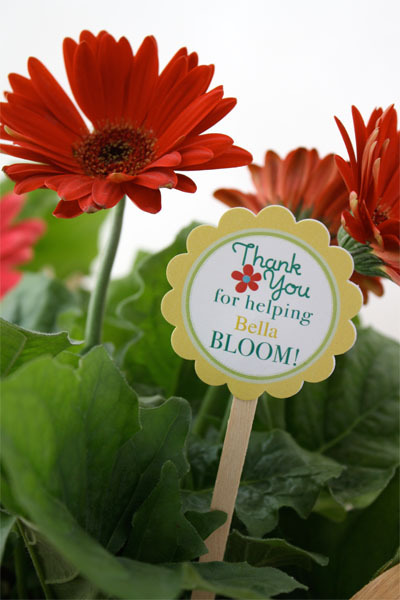 You can download the printables for free from Chicka Bug. 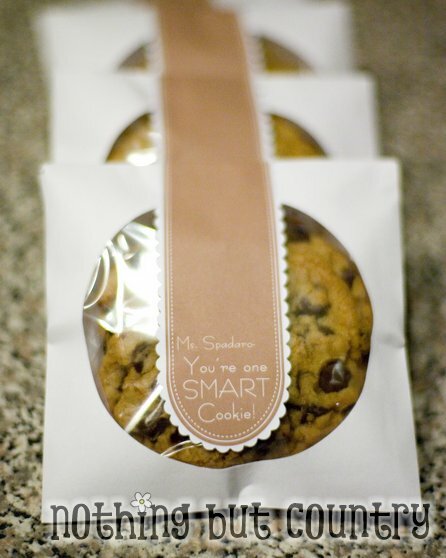 This is just a small printable note, a CD sleeve, and some homemade cookies - so easy and cost-effective. And if there's one thing that I love, it's being lazy and cheap. You can get see the tutorial and printables at Nothing But Country. This is a super simple idea, and different than the usual edible treat. Skip to my Lou has a short tutorial about it, and says that it makes a great last-minute gift (which is they way I tend to do things). So now, all I have to do is decide which gift idea I'm going to go with....I can't decide. Which idea is your number one favorite?